which fuser unit should I get for OKI MB471W? Hi Caroline, thank you for your question. Sadly we do not list the fuser unit for the OKI MB471W so I would be unable to suggest which part it is you need. I would suggest contacting the manufacturer as they will be technically trained to advise you. Ideal for offices looking for a multifunction printer with manageable running costs, the Oki MB471 A4 mono all-in-one multifunction printer is just the right choice, not only offering time and energy efficiency, but excellent money-saving capabilities as well. 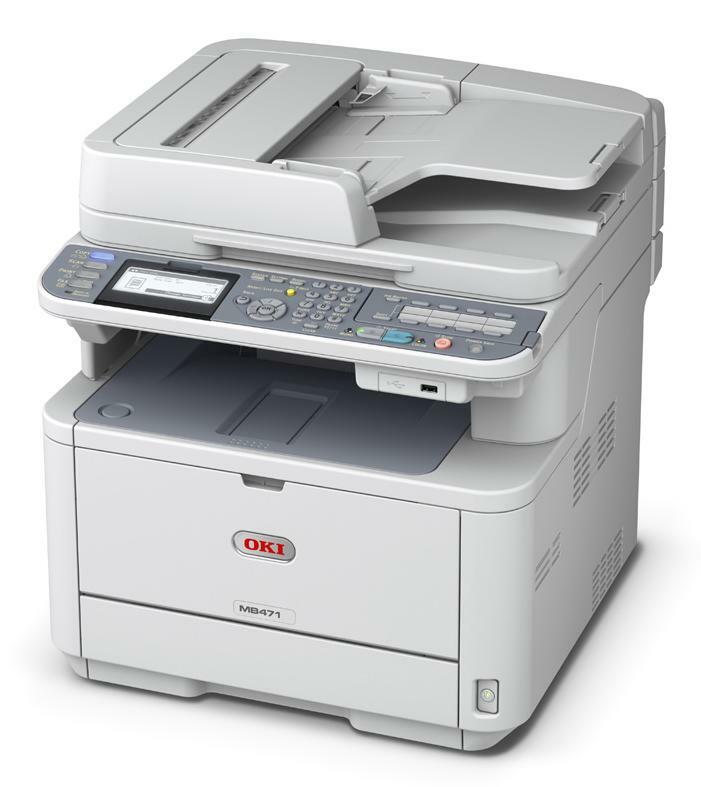 The Oki MB471 combines four machines in one, as it is able to print, scan, copy, and fax documents. It has a wide range of additional features to enhance the machine's performance and it can produce impressive resolutions up to 2400x600 dpi. The Oki MB471 mono laser printer is a good choice for busy workgroups, though it is not designed for colour printing and has limited paper capacity. Built to improve time efficiency and overall workgroup productivity, the Oki MB471 multifunction printer offers additional facilities to make document handling faster and easier. It has a 50-sheet reversing automatic document feeder for easier scanning of double-sided documents, while the automatic duplex unit allows less paper waste, consuming half the amount of paper needed to print one-sided documents. The Oki MB471 has a 350-sheet paper tray and it offers flexible connectivity through its USB and LAN ports. The Oki MB471 all-in-one laser printer is also an energy-efficient device, saving money from high-energy consumption. The MB471 printer even features a large LCD screen for viewing printer menus and selecting functions. It can be used with either Mac or Windows PCs, and supports a number of printer languages. Print speed is also impressive at 33 ppm. Managing consumables for the Oki MB-471 laser printer couldnt be simpler with only a black Oki MB471 toner to replace every 7,000 copies. However, the Oki MB471 MFP can only produce monochrome outputs, which can be very limiting especially for workgroups that do a lot of graphics work.